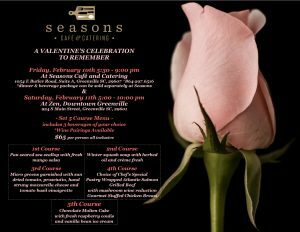 Looking for something fun to do for Valentine’s Day but do not want to fight the huge crowds and odd reservation times at all the restaurants? Look no further then, Zen – an elegant space for hire. Our Greenville wedding venue can be used for a many other things besides weddings! In fact we are partnering up with one of our recommended caterers, Seasons Cafe & Catering, for a pop up restaurant this Saturday. If you are looking for somewhere to take your hunny or looking for a girls night out, we are your place! Look to the ad below for more information. 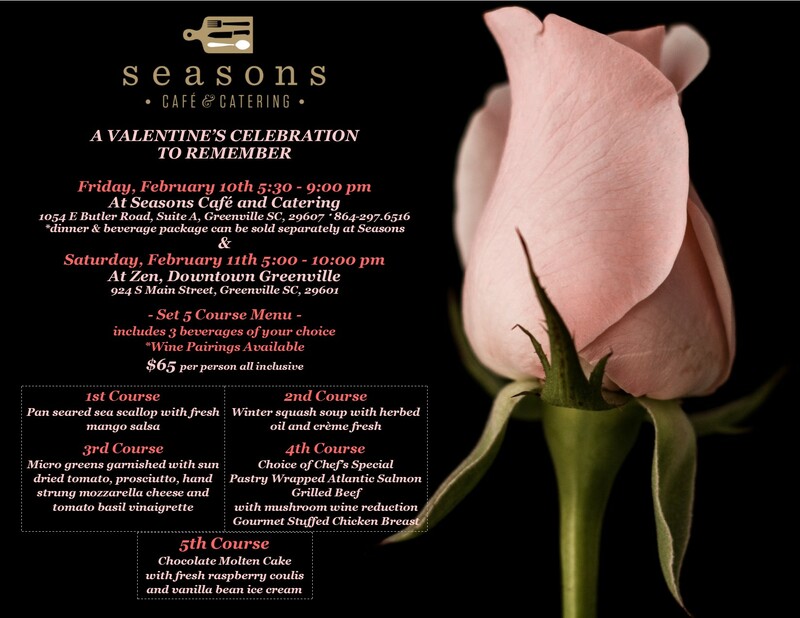 Call Seasons Cafe to make your reservation today! You will not want to miss this delicious food!